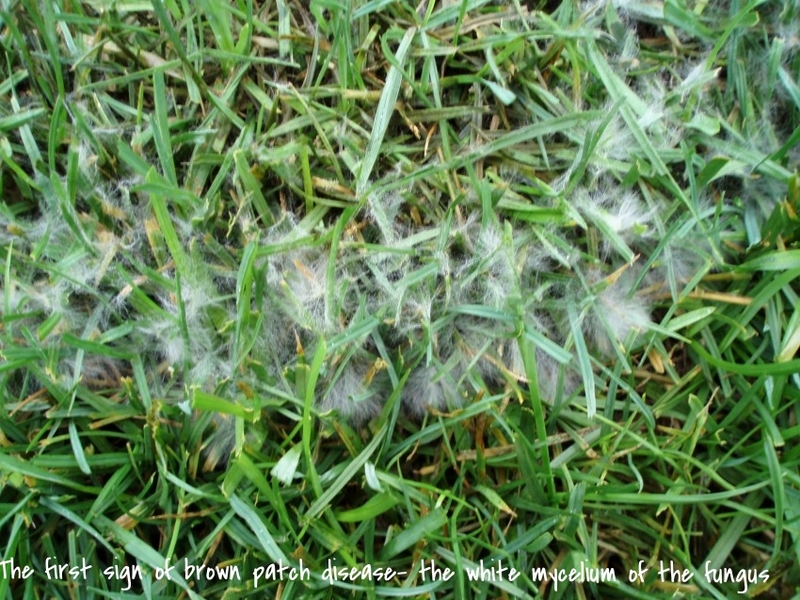 Summer in the tri-state means high heat and humidity and that means conditions are becoming perfect for brown patch disease to take over your yard. Disease activity is prevalent when surface moisture and humidity are high, night temperatures are above 68 degrees and daytime temperatures average 80 degrees or above. Disease severity is greater on lush, succulent lawns with high nitrogen levels. 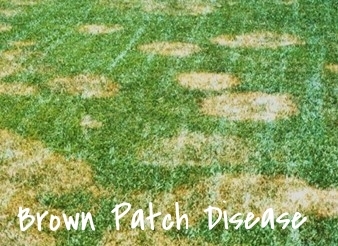 Brown patch disease can spread rapidly and take out large portions or entire yards and once infected the grass will have to be replaced. Temperatures must drop and stay below 68 degrees at night time to offer any sort of relief for infected yards which make prevention and early detection the key to saving your lawn. 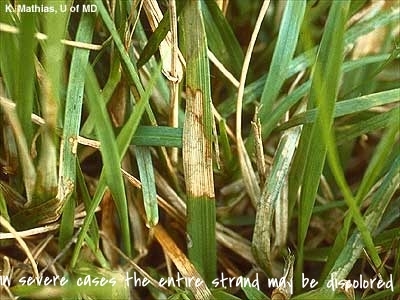 On tall fescues, the symptoms of brown patch can be observed on individual leaves and not necessarily in patches. 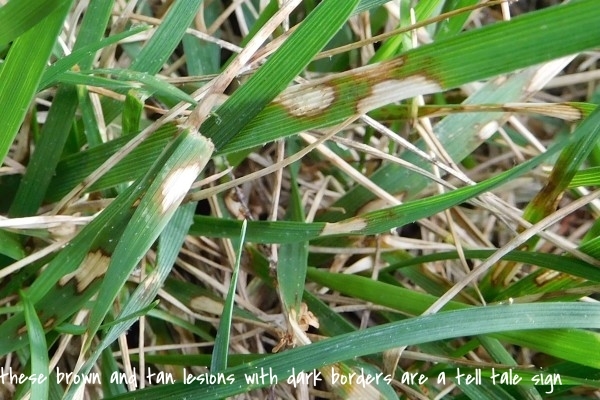 Symptoms include irregular tan or brown lesions surrounded by dark brown borders. 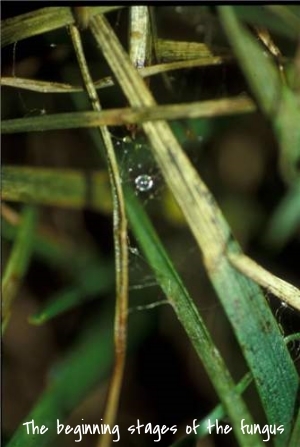 In the early morning you may see the white, stringy fungus on or between the leaves and often all the grass within the entire patch is killed creating a sunken pocket. Preventatively it is recommended that as weather conditions described present themselves that you do not fertilize and that all necessary watering be done in time for the grass to be dry before nightfall- Never water your grass at night or over night. For new turf installation it is important that you use a low nitrogen starter fertilizer under new sod in order to encourage rapid root establishment and cut down on the amount and duration of water needed (without starter fertilizer you can expect root establishment to take 20-30 days compared to 7-14 when a light layer of starter fertilizer is applied to the bare ground prior to installation). Water in long, deep sessions (45-60 minutes at a time) 2-3 times during the day to establish deep root growth, allowing the sod to go through its dry period over night. Do not fertilize any further until night time temperatures fall below 68 degrees consistently. 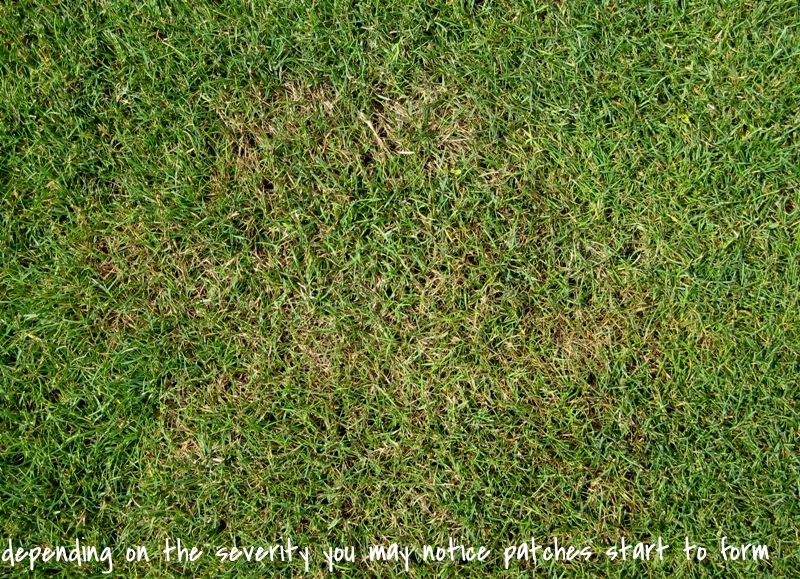 It is strongly recommended that a fungicide be applied to new turf during its establishment period in the summer months in order to prevent brown patch and other diseases from the beginning.